"Why would you wrap over painting a car?" Good question! There are plenty of reasons to wrap a vehicle of painting. Check out why. "How much for a wrap?" always following after people learn about car wraps. We'll break it all down here. 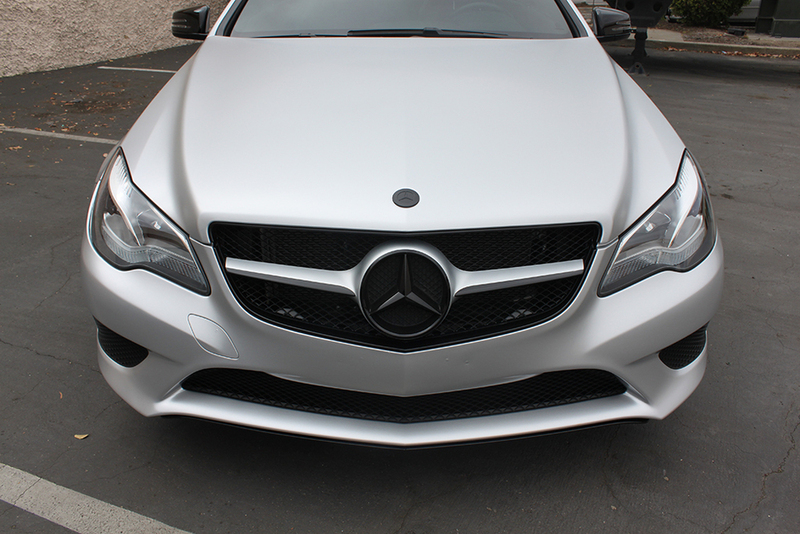 Full Satin White Aluminum Wrapped E-Class with gloss black trim and gloss black wheels brought to you by Haus of Wraps! Accent and Trim stylized by Haus of Wraps!